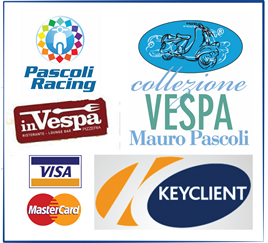 In this section you will find many contents that can help you about the restoration and maintenance of your Vespa. 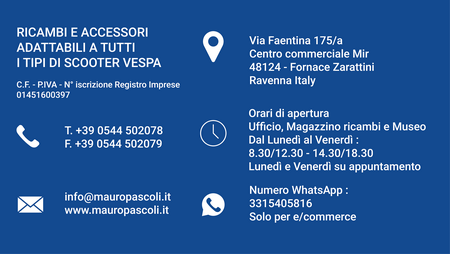 In this section you will find information which could be useful to you for reimmatriculation or for registration to historical archive of your Vespa. In this section you will find a list of patterns of electrical installations in detailed colour plates for different models of Vespa. There is no official data that can afford to distinguish production from 1948 to 1952. We are creating a database that will fill this gap. 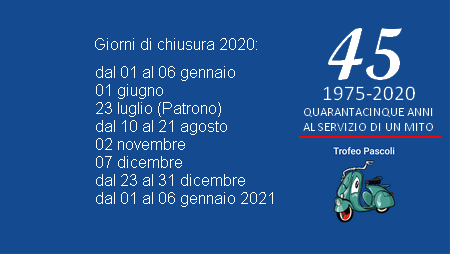 Help us to acquire more information.If you are in possession of a Vespa 125 running from V1T the V33T help us to complete this research by entering frame and year of your Vespa.